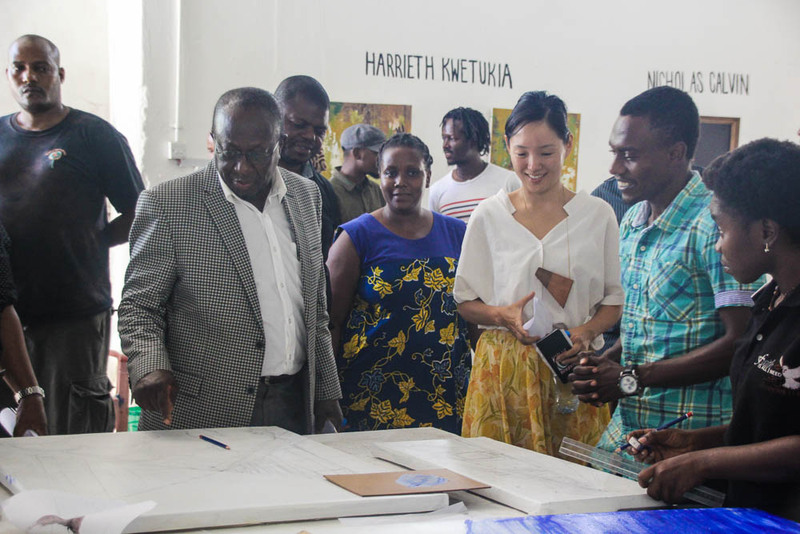 On 2 October 2018, His Excellency Harrison Mwakyembe, Minister of Information, Culture, Arts and Sports, visited Nafasi Art Space in Mikocheni B, to congratulate the art centre on reaching its 10th year of supporting and promoting Tanzanian art and culture. 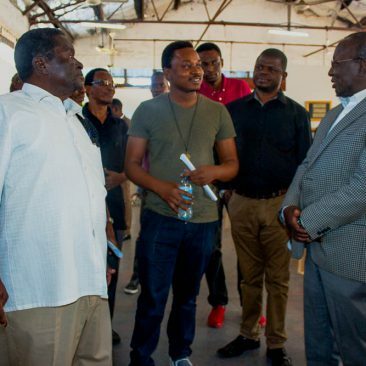 He was accompanied by Godfrey Mnegereza, Executive Secretary of BASATA, Adrian Nyangamile of TAFCA, and ministry staff. Next, Nafasi’s director Rebecca Corey discussed Nafasi’s successes throughout the years in promoting art as self-expression, social communication, and also as an important source of education, income, and employment. 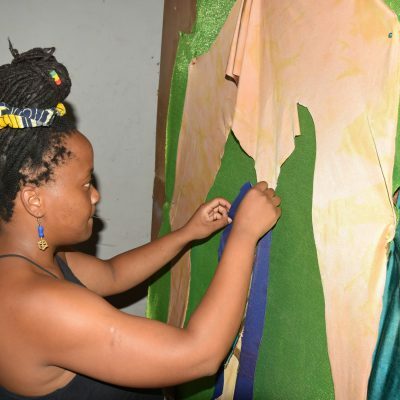 She outlined how Nafasi’s programmes provide artists with affordable studio spaces, workshops and trainings, opportunities to meet and exchange with other artists from the region and abroad, and create a vibrant public platform for artists to present their work to the public and sell their art. She overviewed Nafasi’s 10th anniversary programme which took place during the entire month of September and included outreach to schools, hospitals, and marketplaces, and culminated in a large public festival. 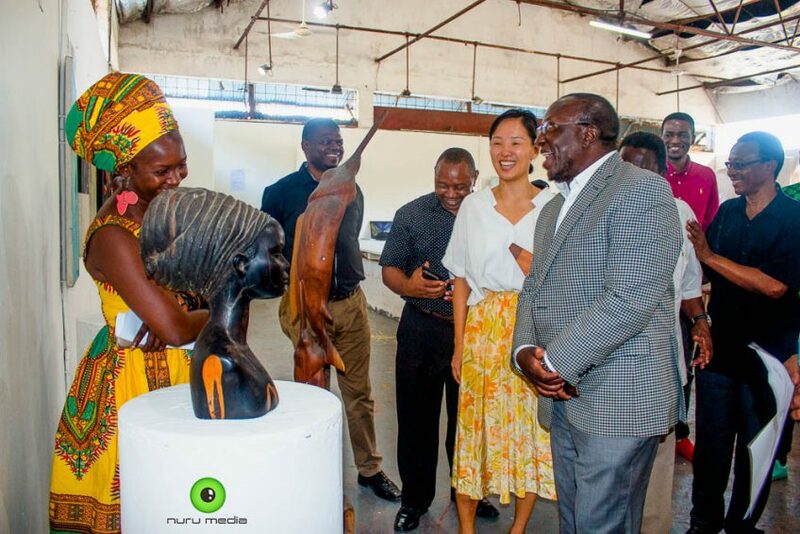 Following the presentation, the Minister was given a tour of the exhibition “Miaka 10 ya Nafasi” in the permanent gallery, curated by Valerie Amani and Jesse Gerard, the Visual Arts programme staff at Nafasi. 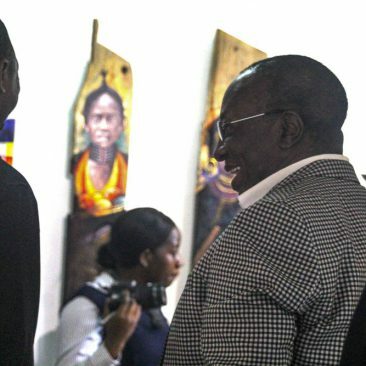 The exhibition featured a timeline of artworks created by Nafasi artists throughout the year, as well as posters, photos, and facts from Nafasi’s history. 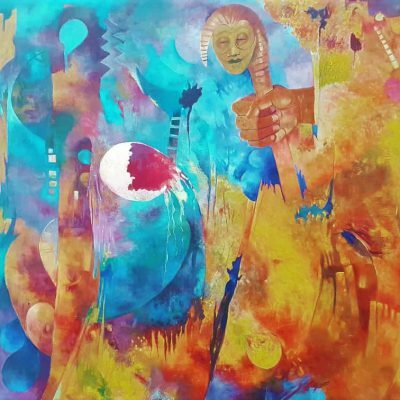 Artists featured in the exhibition included Paul Ndunguru, Masoud Kibwana, Mwandale “Big Mama” Mwanyekwa, Cloud Chatanda, Amani Abeid, Safina Kimbokota, Fred Halla, Nathan Mpangala, and others. 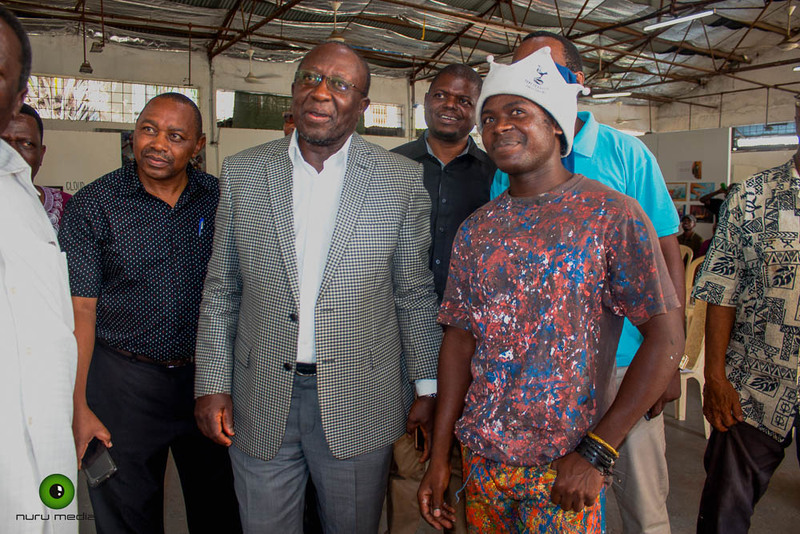 After the gallery visit, the Minister was welcomed to Nafasi’s main exhibition hall where he was able to see a Nafasi workshop in progress. 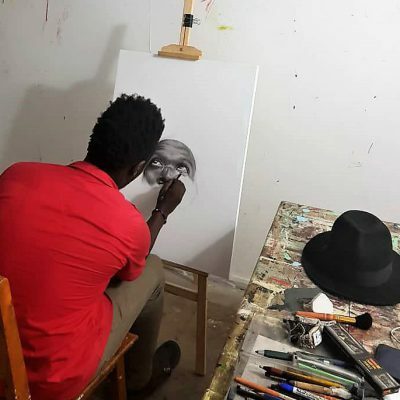 Dullah Wise, an accomplished painter from Zanzibar, was leading a workshop on live painting for 18 young Tanzanians. Dullah Wise explained how his workshop trained the participants on colour composition and perspective. 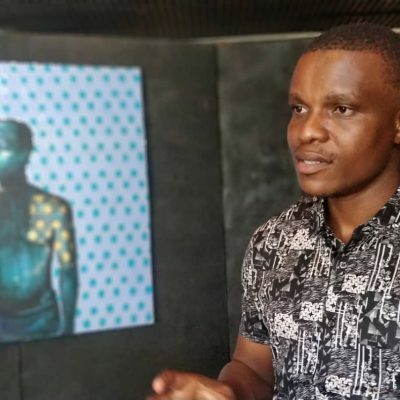 Next, Mwakyembe had the opportunity to see the “Sanaa Yetu” exhibition featuring current works by Nafasi member artists, staff and other Tanzanian artists. 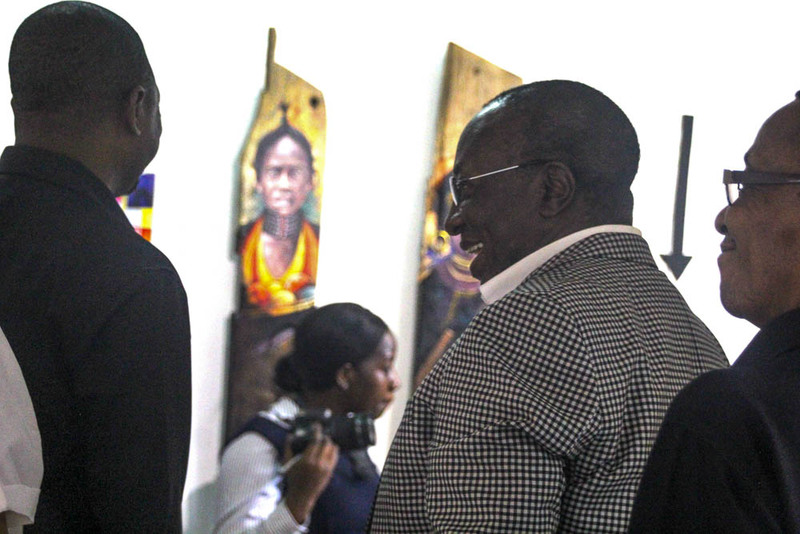 Many of the artists were present and had the chance to meet the Minister and present their works to him. Then Kwame Mchauru, Performing Arts Manager of Nafasi, introduced the entertainment, a stirring performance of the song “Rozeana” by Isack Abeneko, who sang and played guitar, accompanied by drummer Haidary of Shine Dance Company. Following the show, Board member Sauda Simba presented H.E. Mwakyembe with a painting by Amani Abeid in thanks for his visit and support to the arts and culture sector. H.E. 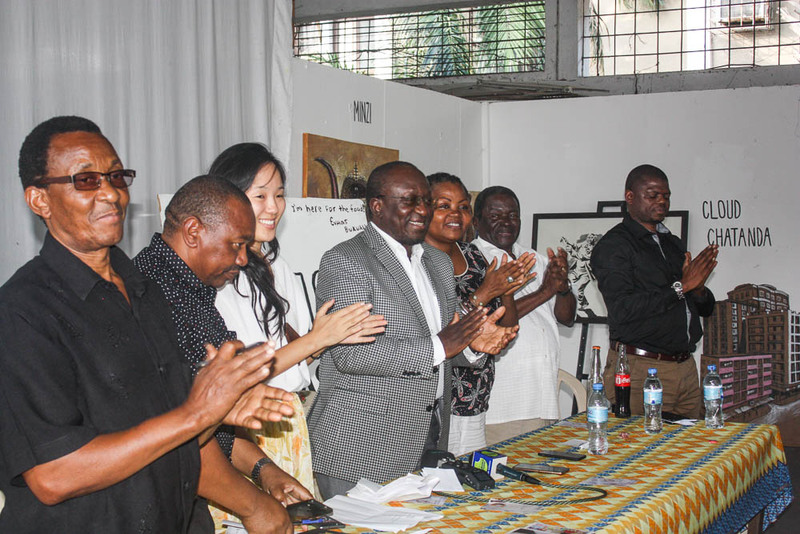 Mwakyembe then addressed the assembled board members, management, staff and guests with a speech reaffirming his commitment to supporting the arts. He emphasised the importance of raising the visibility for arts and culture in society. 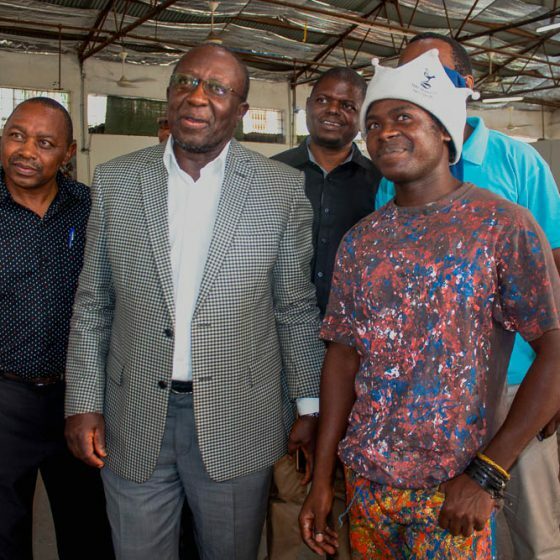 He congratulated Nafasi on the achievements of the organisation during ten years and said he hoped the relationship between the Ministry and Nafasi would only continue to grow in the coming years. 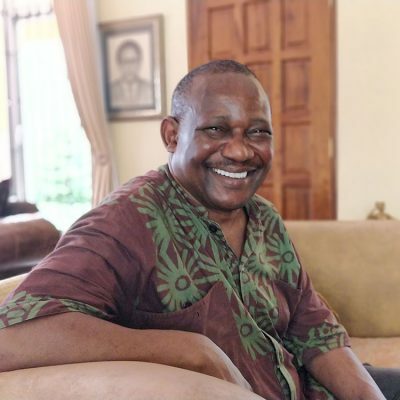 He generously offered the Ministry’s support in Nafasi’s search for a permanent home, as currently the organisation sits on rented property. 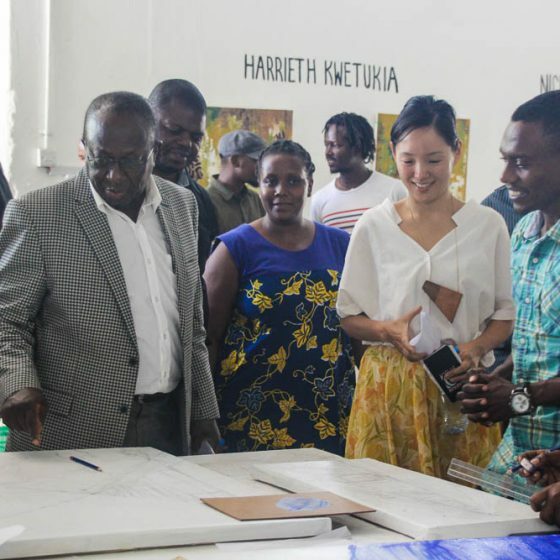 He invited the artists to visit Parliament and outlined various opportunities for the artists to contribute their skills and talent to the nation via public art in urban spaces. The audience was then welcomed to ask questions. 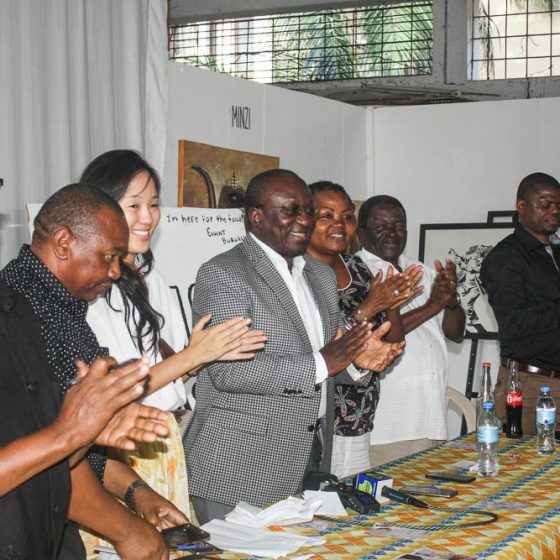 Artists presented various views and queries, which the Ministry promised to follow up on. In her concluding remarks, Nafasi’s Director thanked the Minister for his visit and for making himself and the ministry accessible and close to the people. 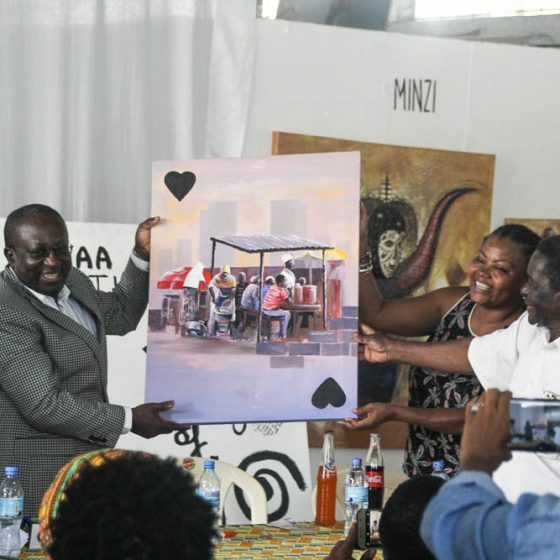 She reiterated Nafasi’s commitment to promoting Tanzanian national culture and identity, supporting young artists in their artistic education and development, and working collectively to use art as a tool for improving society. After gathering for a final group photo, H.E. 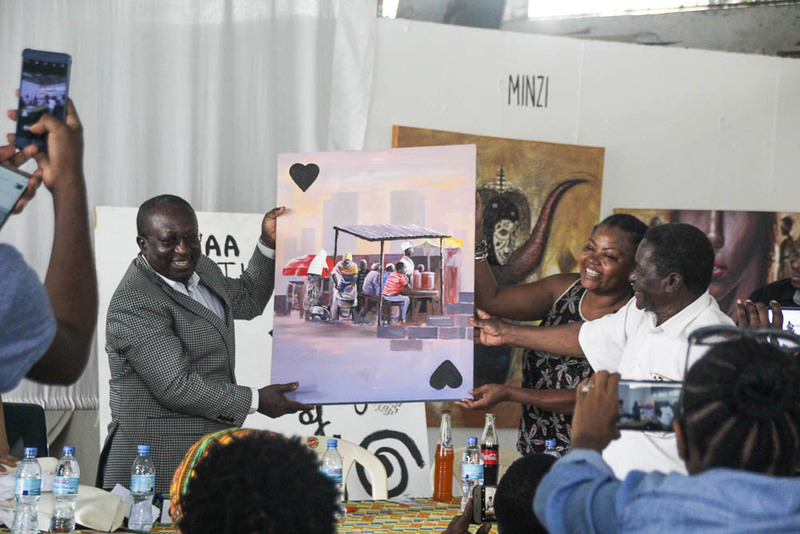 Mwakyembe and Mr. Mngereza were presented with gifts of photographs of the work of Jocktan Makeke, the visionary Tanzanian fashion designer and Nafasi artist member. 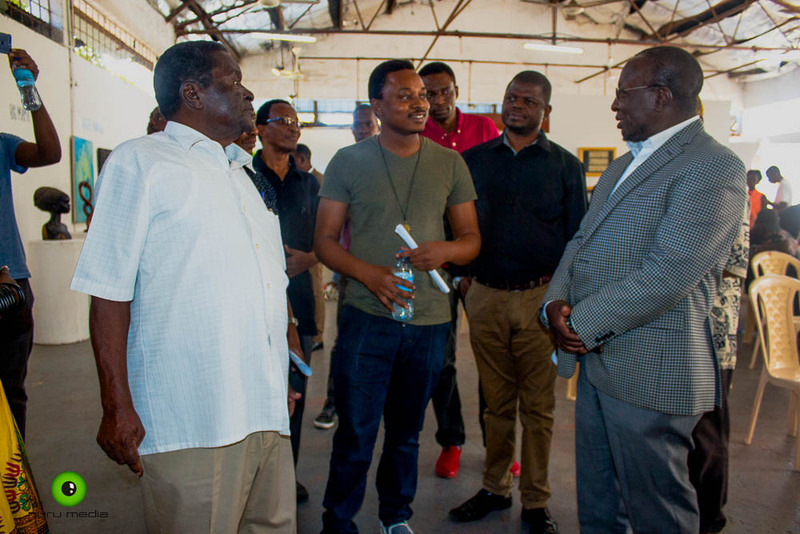 The Minister’s visit to Nafasi Art Space was an honour for the organisation and an illustration of Nafasi’s growing impact and importance on the Tanzanian cultural scene. 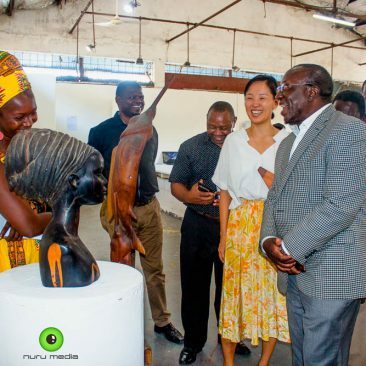 This may have been the first time a Minister from the Ministry of Information, Culture, Arts, and Sports has visited Nafasi, but as Board Member Sauda Simba said, hopefully it will not be the last. 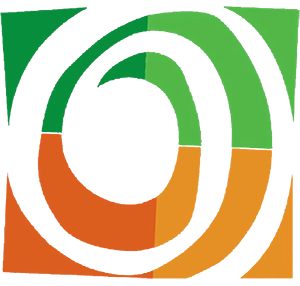 In the coming months, Nafasi will host multiple exhibitions, film screenings, workshops, and public events. For more information please visit www.nafasiartspace.org. 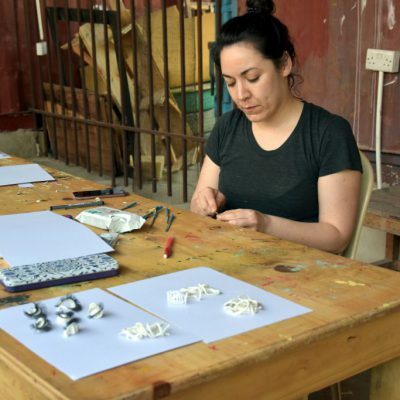 Nafasi Art Space is a registered not-for-profit organisation. 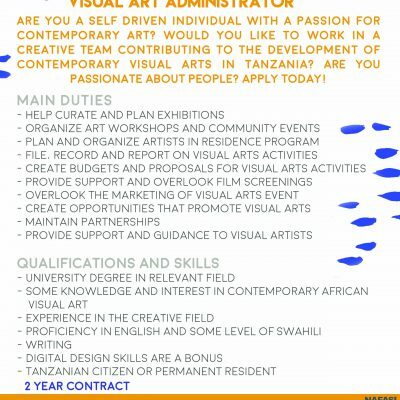 It is supported by the Norwegian Embassy, the Swiss Arts Council, the African Arts Trust, and “Friends of Nafasi” sponsors.